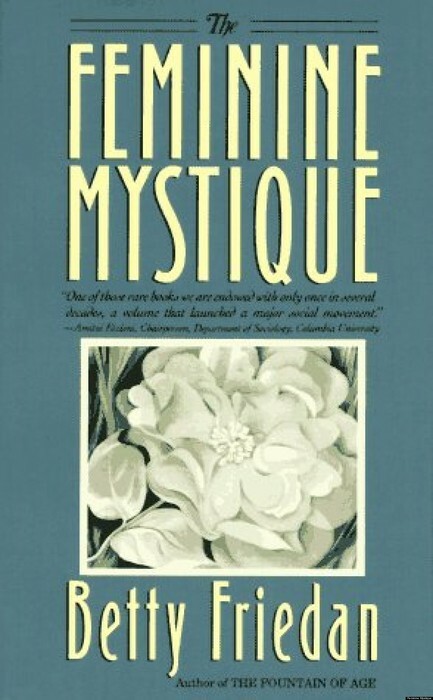 The Feminine Mystique was a vital part of this course, in my opinion, because it gave perspective to the history of feminism and how women use to be viewed throughout the past as only their roles as wives and mothers, even growing up. I think the most important part of reading this book was the discussion that followed, because there are still discussions and debates about the role of women and being a stay at home mom versus a career mom. Learning of the hardships on the woman’s identity, both physically and mentally was upsetting. Women were represented as secondary citizens and felt "empty" and "depressed," but didn't know that women all over the country felt the same way. I did not want my classmates to think that, because my mom and other moms are stay at home mothers, that they have no other identity or have “housewife” syndrome. Luckily, everyone has different pasts and we are in a time where it is all about the choice to make the decision to stay home or have a career, or even both. The survey portion of the course showed the depth of perspectives and viewpoints that real life mothers today have on past and present motherhood representations and issues. At first, I was nervous that the mothers I reached out to would not be interested in this project, but they were all excited and proud to see that students were taking an interest into this subject. Also, coming from a neighborhood with women who appear as the same background and lifestyles, I was surprised to see the variety and the distinctive answers that they gave pertaining to how mothers use to be represented versus how they are represented now. 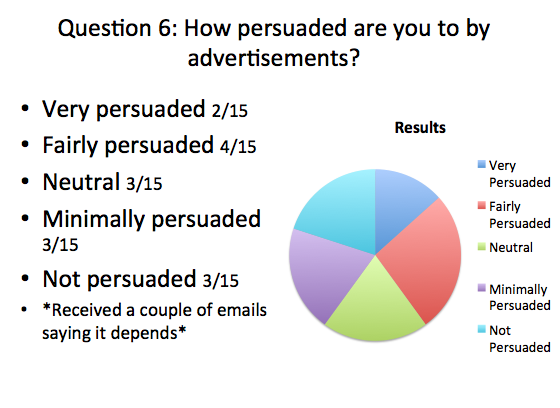 My favorite questions that came from the surveys were the open ended ones, because it allowed the mothers to let their opinions be heard and appreciated. This was especially interesting to hear why they think women are portrayed in children ads more than men, the most difficult parts of motherhood, and simply how they think motherhood should be represented. For the novel project, I read Mona Simpson’s Anywhere But Here to analyze the mother-daughter relationship of Adele and Ann August. The novel revolves around the chaotic and complicated relationship between Adele August, an irresponsible, selfish, controlling mother and her resentful, yet dependable teenage daughter, Ann. Set in the 1970’s, Adele forces Ann to leave her family and friends in Bay City, Wisconsin and move with her mother to Beverly Hills, California so that Adele could pursue the high class lifestyle of her dreams and transform Ann into a child star. 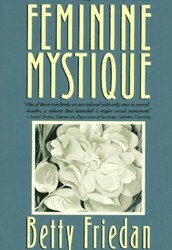 Throughout the novel, Ann struggles with her resentment and pursuit to leave her mother forever and also her feeling that she is the only one her mother has left. A major fault in how motherhood is portrayed through Adele revolves around her unwillingness to admit her mistakes and accept responsibility and instead, continually tries to deflect the conflict and distract Ann with shopping, nice restaurants and ice cream. This mother daughter relationship not only demonstrates the pressures that a mother acting like a child, forcing the daughter to be the adult can have on a teenager, but also how to accept your family for who they are, even if you may not want them a part of your life anymore. 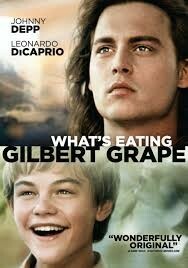 Film: What's Eating Gilbert Grape? What’s Eating Gilbert Grape is a heartbreaking movie about the dysfunctional, yet close knit Grape family who live in Endora in 1933. Told from the perspective of Gilbert Grape, the film tells the story of Gilbert and his relationship and having to be the father figure of his family that includes his two sisters, his morbidly obese mother, and his special needs brother, Arnie. In the beginning, Gilbert's mother Bonnie is introduced by her son, who is resentful and embarrassed as he constantly lets kids spy on her and makes jokes at her expense calling her things like a “beached whale”. As a morbidly obese woman, Bonnie has the world revolve around her so she won’t have to move. Bonnie shows vulnerability when as she is outside, a crowd of people surrounded her and children whispered and laughing and calling her names. She then refuses to go out of the house for Arnie’s 18th birthday, because she is too embarrassed. At the end of the movie, Gilbert is speaking to Bonnie as she sits inside during the birthday party and apologizing for being a burden and says “I never wanted to be a joke.” This movie shows that there are multiple sides to every story and that all families are complicated. This project was helpful to show the range of representations of motherhood in different time periods from the earlier 1900's to present. In doing the Mother's In the News assignments, most of news stories presented on can be categorized by bad mothers who have killed their children or mothers who are criticized for their decisions as a mother. This section of the class was beneficial to have discussions that centered around different types of mothers and the different obstacles that mothers face in today’s society such as criticisms for breastfeeding, maternity leave, their careers versus staying at home and more. Having a class of students who come from many different backgrounds and family set ups was beneficial to show various perspectives and experiences on these issues. The most entertaining and also terrifying aspect of this assignment was seeing all of the irresponsible mothers who have hurt or killed their children. One major lesson that I learned was that not every woman should be a mother. 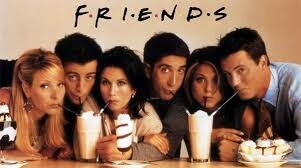 Television: Motherhood in the show "Friends"
“Friends” was a television sitcom that ran from 1994-2004 on NBC. The show followed the life of 6 friends as they lived in Manhattan and explored their careers, relationships, friendships, and family life through all the struggles and triumphs that come their way. Motherhood in this show is spread throughout the entire series ranging from their relationships with their mothers, to some of them becoming mothers and fathers, and seeing how different parenting styles that were common not only in the 90's and early 2000's but also today. This show various mother types such as the over-critical mother, the Mrs. Robinson-type mother, the new mother, and the absent mother. Through this project, I felt like I was able to see that although many shows show either the hysterical, helicopter mother or the overwhelmed comedic relief mother, “Friends” shared a variety of different mothers that captured the time it aired well. The advertising project was interesting, especially in presentations to see how different students took the assignment and asked real mothers their opinions about different advertisements. 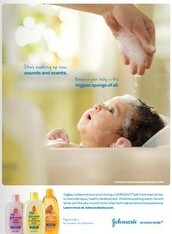 In my presentation, I took 3 ads from Parents magazine that all portrayed the mother as the caregiver, nurturing type. Personally, I did not find these advertisements as offensive. 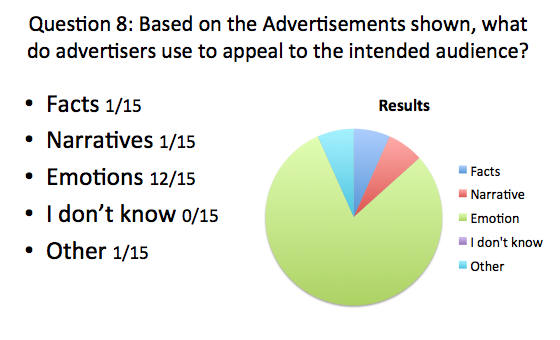 Also, the mothers that I surveyed did not find it as offensive, because these ads more appealed to the connection a mother has to her child as well as her desire to keep her child healthy and well. Below I have attached 3 examples of survey questions with their results. I thought it was very interesting that it mainly shows one type of mother and mainly displays mothers in parenting or household aimed advertisements. I think print advertisements, especially, are hard to survey on, because most mothers told me they do not look at the advertisements or pay attention to them. 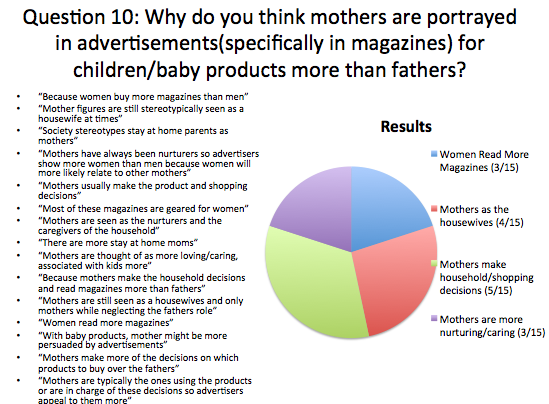 Overall, I thought this portion of the class was beneficial to see that advertisers make good and (sometimes very) bad decisions on how they display mothers in advertisements. I hope one day they will present all types of mothers and fathers in advertisements. The magazine project was the most eye opening section, in my opinion. 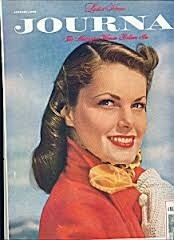 For this project, my partner Julia Wineriter, and I did our project on Ladies Home Journal from the year 1950. Before this project, I did not realize the amount of sexism that was actually just considered part of the norm at that time period. In this project, we found that the entire magazine was aimed at making a better housewife and helping housewives be better wives and mothers. Typically, each magazine had the majority of the articles pertaining to cooking, cleaning, fashion, parenting, and relationships. The most disturbing section from the magazine was called “Making Marriage Work” which was written by a man in which he gave monthly advice to women on to how to be better, submissive wives to their husbands. With advice such as “If he offers to dry the dishes, thank him for the favor rather than regard it as your right,” it was disheartening to see how women were subjugated as only wives and mothers. Overall, this was an eye opening project that showed how women’s rights in magazine publications have progressed. The music project was interesting, because it made you rethink different artists and genres and listen to the lyrics that are actually aimed towards mothers in different ways. Most of the songs were from the Country genre and were about how their mother raised them, thanking them or becoming a mother. They are mostly heart warming and emotion provoking, because they give a nostalgic sense of the struggles of motherhood and the relationships we have with our own mothers. I did my project on the song “Hey Mama” by Kanye West. This song was interesting, because when you think of Kanye West, many times you think of the rapper who has self-proclaimed himself as similar to God and is married to Kim Kardashian. However, this song is an up beat slow song that West dedicated to his mother to tell of their struggles growing up and how much of a support system his mom was to raise him to the success he is. Adding stock photos or personal photos made this project more interesting and easier to understand the message as well as more entertaining. Overall, this project showed that even as musicians and rappers and artists, they still have ways to express their thoughts and experiences on motherhood. The Disney mother’s portion of the class was fun, because growing up on these movies I did notice how the mothers were either evil or absent. Learning the theory that Walt Disney made many of the mother figures absent was because his mother died in a fire in the house he made his parents move into was very interesting and shocking to me. However, many of the mother figures who are absent were remembered as the perfect loving, supportive mother. I will admit that watching the death scenes of many mother characters was a hard day in class, but it was interesting to see the various ways throughout the years that Disney has portrayed this idea. I also think it is interesting that even though Walt Disney has passed away, the Disney corporation has stayed true to that theme for the most part. One thing that I did enjoy learning about was the various mother figures that were present such as the evil stepmothers, fairy godmothers, sisters, and others that were in place of the real mother but still had the nurturing, motherly characteristics that made the movie more wholesome. Mothers represented in children’s books was surprising to me, because I thought that mothers would be more present than they are. Thinking of all of the types of mediums we have covered such as movies, TV, magazines, advertisements, etc., I just assumed that mothers would be heavily present in children’s books because many other mediums place women into the mother role heavily. Then looking into the books that do include mother figures, there are few that display a wide range of mothers or family types. Although slowly happening, I believe more books will show mothers and other family types. Regarding teen fiction and mothers, I was not surprised that it was mostly fantasy shows that portrayed the mothers as either overprotective or ditzy. Most of the time, they appear as mothers who are trying to form their daughters into an image of themselves or that they just don’t understand their children and are ditzy. In some, however, they show a more realistic mother that is just supportive and also protective, because no mother is perfect. One thing to consider is that there are many different types of mothers and it would be very hard for a television show to portray all types of mothers in a single character. I just wanted to start off by saying thank you and I love you. When this class started I was nervous, because I don’t like when people talk poorly of stay-at-home mothers. You may not have been climbing your way to a CEO position or running your own company, but you were doing what you loved; which was raising us. The point of this class was not to say that stay-at-home mothers are bad, but to show that it is all about having the choice to pursue a career or not. This course gave me a lot of appreciation, because it allowed me to see that there are many different types of mothers out there, and a lot of bad ones, so I know how grateful I am for you. Reading books and magazines about mothers in the 1950’s terrified me that being a stay-at-home mom meant that you would lose your identity and be considered just a “housewife”, but then I just reminded myself of how you are the exact opposite. You might clean the house, wash our clothes, and cook us meals, but that doesn’t define you. Dad for sure would argue that he helps out a lot more than we give him credit for. You are the strongest person I know; you are hilarious, confident, smart, skillful, and not afraid to show your true self. As your daughter, I couldn't have asked for a better mother. You have always been there to help me when I am sad, sick, scared, or angry. At times, you were the mother I needed, but didn't want. You inspire me to be a better version of myself: a more open, faithful, and confident woman. I don’t fear the future or wallow in my past mistakes, because you motivate me to live in the present. I love you for the sarcasm, tough love, and life lessons you have bestowed upon me. This course not only showed me how much I appreciate the mother and friend you have been, but also the mother and person I strive to be. I love you so much.